The state government is trying to bridge the economic divide in the education sector and ensure quality education to children irrespective of their financial background, Kerala Chief Minister Pinarayi Vijayan said today. 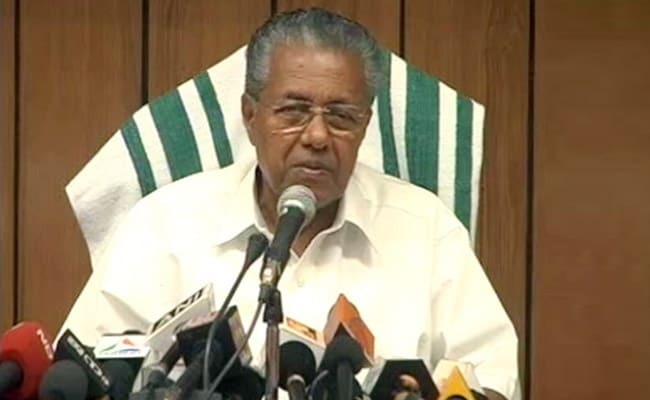 Thiruvananthapuram: The state government is trying to bridge the economic divide in the education sector and ensure quality education to children irrespective of their financial background, Kerala Chief Minister Pinarayi Vijayan said today. He was speaking after inaugurating the state-level 'Praveshanotsavam' (entrance festival) at the Upper Primary School at Ooroottambalam near here, marking the entry of children into the world of letters and learning. Over three lakh tots enrolled in the first standard as the academic year began after the two-months-long summer vacation. Vijayan also sought the intervention of society for the progress of public education system in the state. "Government schools had led the education sector of the state till some time back. The entire progress of the state was the result of the public education system," he said. The situation has changed with the advent of globalisation and it should be changed, Vijayan said. The general belief that private sector schools would offer better education to children had affected the state-run schools to some extent, he said, adding, the government's hi-tech classroom project would bring changes in this attitude. The education department organised "Praveshanotsavam" across the state to mark the occasion by decorating schools with flowers and balloons to give a joyful welcome to the newcomers. At Pattikad government school in Thrissur, caparisoned elephants, bursting of crackers and beating of drums greeted the new entrants to school, while in Kochi police officials distributed sweets, toys and books to children in schools. Cultural programmes were also organised in many schools. Education Minister C Raveendranath said Rs 493 crore would be allotted from Kerala Infrastructure Investment Board for the hi-tech school initiative. Distribution of free handloom uniforms and 'smart classrooms' were some of the major initiatives introduced by the state government in the education sector this year. Plastic was kept at bay in the Praveshanotsavam as part of the 'green protocol'. Over 40 lakh students are pursuing their school studies from class 1 to plus two in both government and private sector schools in Kerala.